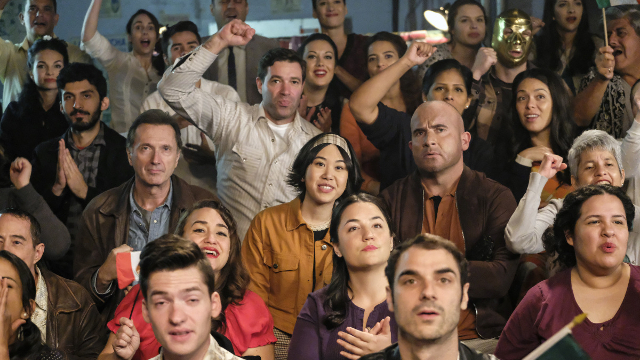 Legends of Tomorrow Season 4 Episode 9 returns with the Time Bureau in crisis mode, searching for the escaped kaupe. 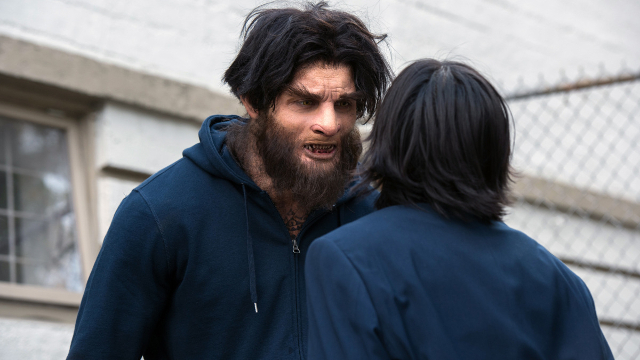 Hank Heywood gives Ava an ultimatum: find the monster and get rid of Mona, who security footage shows released the creature. Sara says that the Legends have Ava’s back and will help find the kaupe before anyone else gets hurt. Mona is visited in the hospital after being injured by the feral kaupe during his escape from the Men in Black, first by her parents who disbelieve Mona’s story, then by Gary, who has come to fire Mona and wipe her memories. Mona, however, overpowers Gary and uses the tool on him, allowing her to escape. Outside the hospital, she is met by Konane the Kaupe. With the Legends closing in, Mona opens a portal in space-time and sends Konane away before he can be caught. The Legends find Konane in 1961 Mexico, where his success as a luchador has upset Mexican history and cost lives. Among those affected by the sudden appearance and rise of the masked wrestler is El Cura, who is supposed to be the sport’s biggest star, crossing over into films as well. Before the Legends can capture the fugitive, Konane saves Mona from being trampled, proving that he’s not the monster that everyone says he is. When Sara finds that Mona is telling the truth about Konane, she suspects that Mona might also be telling the truth about the security footage having been altered and that there is a cover up at the Time Bureau. Ava is upset when she finds that Sara has been harboring both Mona and the kaupe aboard the Waverider, instead of bringing them to the Bureau and getting Hank off her back. The rift between the two widens, in spite of Sara’s attempt to get Ava to understand that they can’t trust Hank and his minions at the Bureau. Sara tries to get Ava to see the corruption at the Bureau, while Ava says that her job is to protect humanity and the timeline, not monsters–pointing out that only weeks ago the Legends were sending magical creatures to hell. The two leave on bad terms. Meanwhile, Nate and Zari confirm that Hank ordered the kaupe’s release and tried to frame Mona. 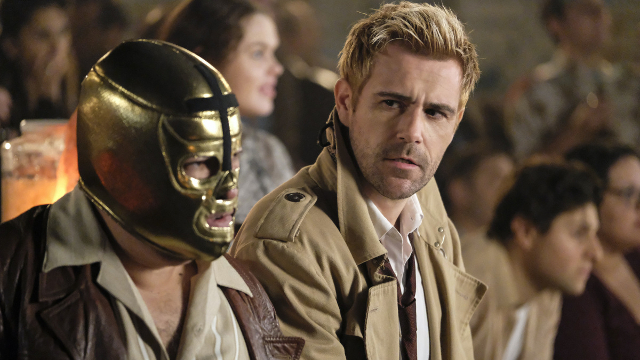 Nate no longer trusts his father and decides to serve as the Legends’s mole in the Bureau. The Legends return Konane to Mexico and train him to throw a wrestling match in order to preserve Mexico’s timeline. During the match, Bureau agents show up to grab the creature, but the Legends fire up the crowd to take out the agents and return El Cura to the spotlight. Mona believes herself and Konane to be like Garima and Buck in Mick’s novels, but Mick warns her that there are no happy endings, neither in real life nor in the books. Mona prepares a portal for Konane to return to ancient Hawaii where he belongs. Mona tells Konane that she can’t go with him, that she doesn’t belong there, she belongs here. Before Konane can use the portal, he is shot and killed by a Time Bureau agent. This causes the true nature of Mona’s injury to manifest. After having been scratched by the kaupe and survived, her rage transforms Mona into a kaupe herself. Mick finds Mona back to her human self beside the two corpses. 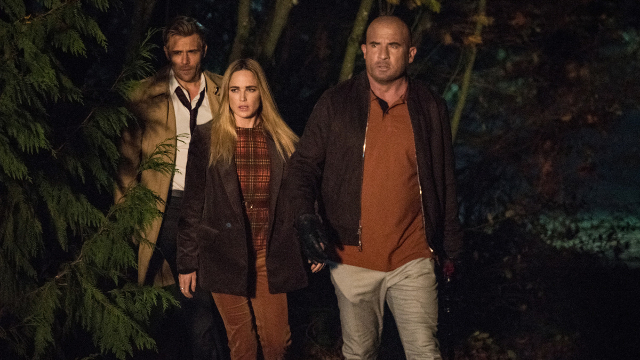 What did you think of the Legends of Tomorrow midseason return? Let us know in the comments below!